SAXSpoint 2.0 is your partner for SAXS/WAXS/GISAXS analysis of nanostructures in the lab. Enjoy easy access to non-destructive investigations of materials’ properties and interaction behavior on the nanoscale. 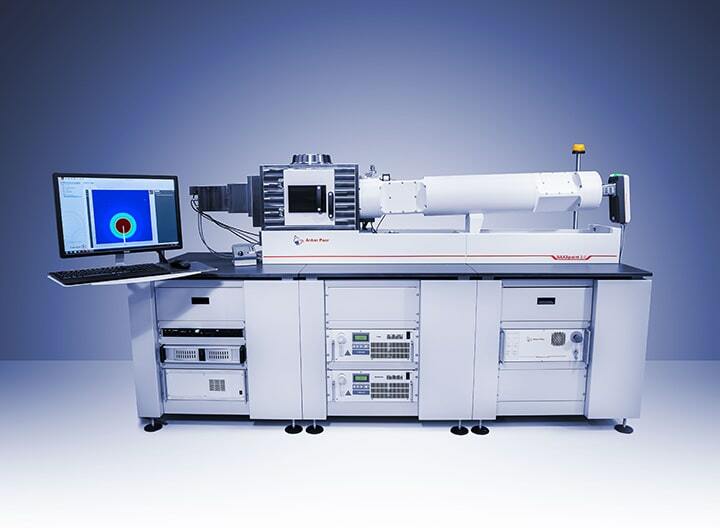 It is suited for analysis of anisotropic materials and nanostructured surfaces of almost any material to determine the particle size, size distribution, and shape, structural changes, and dynamics. Powerful software packages enable automatic operation and data analysis. SAXSpoint 2.0 employs brilliant X-rays with high spectral purity and scatterless beam collimation. Equipped with powerful standard or MetalJet microfocus X-ray sources and customized high-precision optics, it delivers excellent results within minutes. 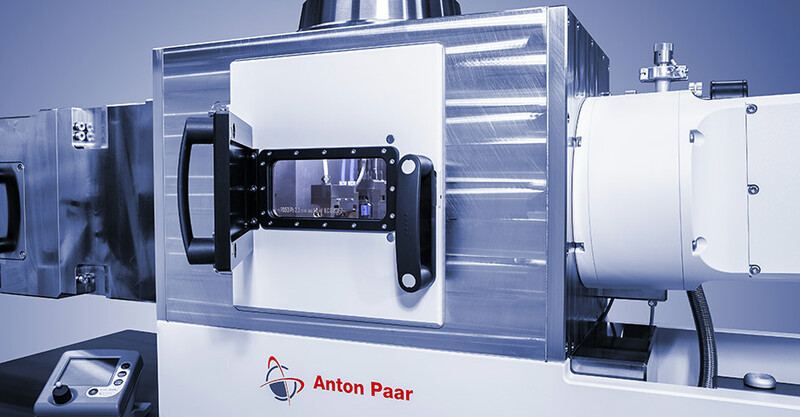 Combined with the latest hybrid photon-counting (HPC) detectors it ensures short measurement times and high-quality SAXS/WAXS/GISAXS results for the perfect analysis of your nanostructured materials. 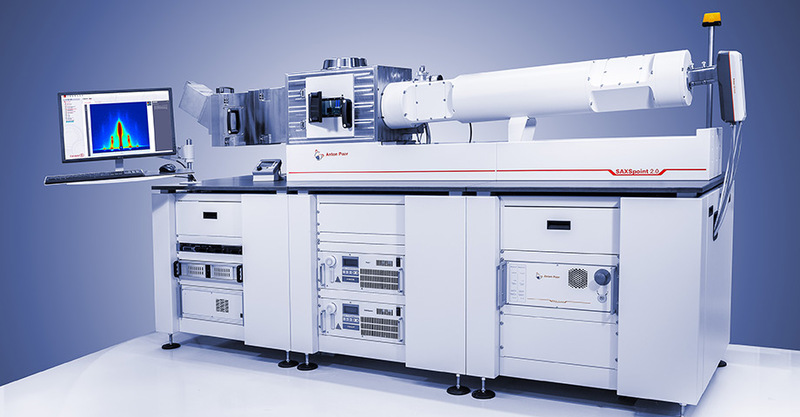 Magnificent resolution is reached with this brilliant setup, resolving structures up to 310 nm. Automation of routine tasks to accelerate your way to the measurement is a standard in the SAXSpoint 2.0 lab system. With TrueFocus, automated and precise alignment of all X-ray components and sample stages is achieved at the push of a button. Stagemaster automatically recognizes which stage is implemented and configures the system accordingly, thus enabling together with TrueFocus the best possible result for your measurement setup. Automate your sample throughput with the ASX autosampler for liquid samples, such as dispersions, and biological samples. The ASX autosampler can be equipped with up to 192 samples and has a cooling option for sensitive samples. 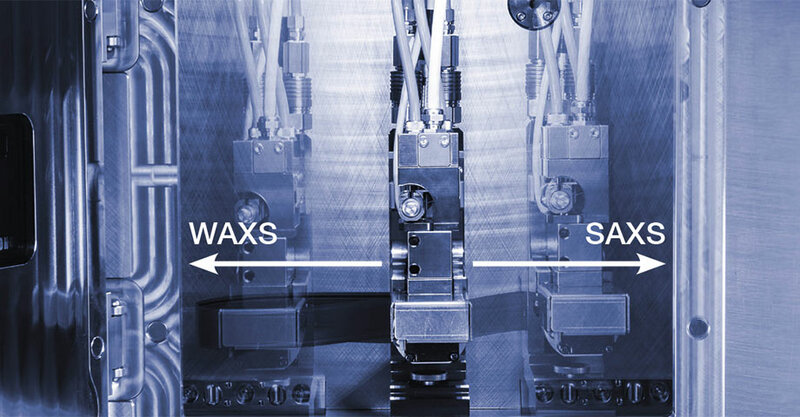 Benefit from complete scattering data from SAXS and WAXS without additional realignment of the SAXSpoint 2.0 system with TrueSWAXS. 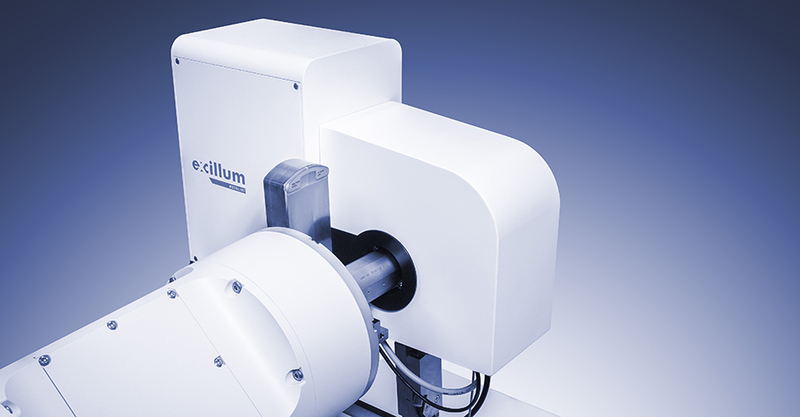 Receive small- and wide-angle data from the same sample simultaneously and continuously at scattering angles up to 60° 2Ѳ. This gives insight into the particle structure and the particle/macromolecular assembly plus the structure on the atomic level of your sample in one go. With TrueSWAXS you know that all of this structural information is from one and the same sample. 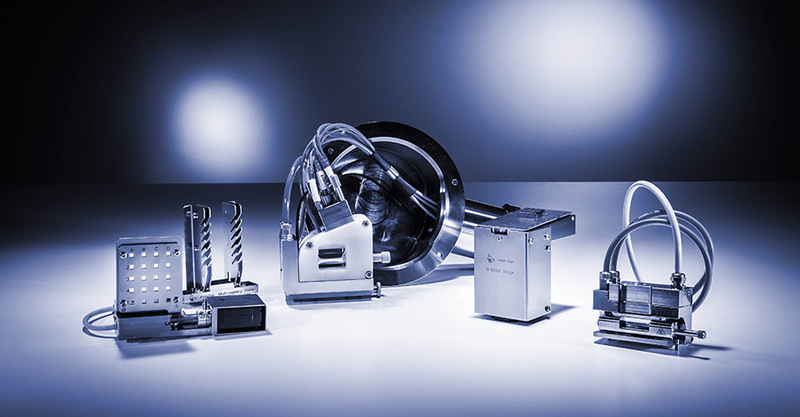 Almost any kind of nanostructured material can be analyzed under various ambient and non-ambient conditions by simply choosing the appropriate sample stage from the broad sample stage portfolio. Benefit from a unique flexibility in your measurement setup. Tensile Stage: analysis of nanostructured fibers under defined mechanical load. Customized sample stage solutions. The powerful SAXSdrive™ and SAXSanalysis™ software solutions support automated routine steps, like measurement setup and alignment, and comprehensive data analysis. Set up serial measurements, benefit from automated sampling, temperature scans, and time-dependent studies, and analyze your received 1D and 2D data sets using customizable templates. Determination of parameters like radius of gyration (RG), particle size, Porod constant, specific surface, Kratky plot, etc. is standard in SAXSanalysis™. For advanced structure interpretation (PCG) like particle size, size distribution, shape and inner structure, IFT and deconvolution techniques are available.